In the criminal justice system blah blah blah: After two seasons of atrocious play for the Boston Celtics, federal authorities became suspicious of center Stojko Vrankovic. He was brought up on espionage charges, accused of being a Croatian spy. After months of investigation and hundreds of missed free throws, the charges were dropped; however, his legal nightmare wasn't over. Celtics fans then filed a civil lawsuit, accusing Vrankovic of impersonating a professional basketball player. A Boston jury quickly found him liable, forcing him to hand over his paltry salary and banning him from the NBA. 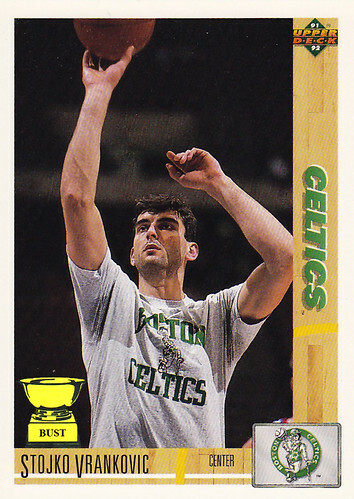 He resurfaced a few years later, playing for the Timberwolves and Clippers under the name Vrojko Stankovic. Nobody noticed, however, since those aren't actually NBA teams.